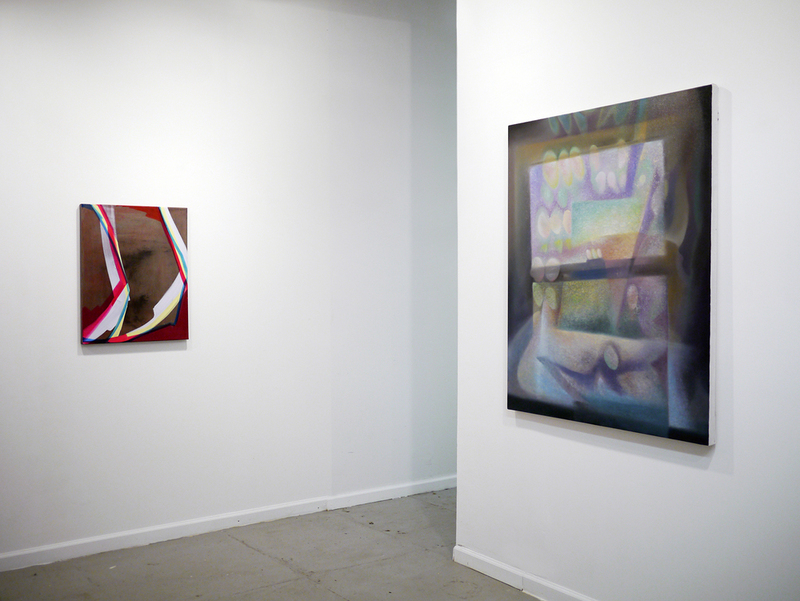 Cosmic Eye - ft. Rosanna Bruno, JJ Garfinkel, Carrie Gundersdorf - Oct. 12th - Nov. 9th, 2014. Added on November 15, 2014 by Mitchell Wright. Gallery 106 Green is proud to present Cosmic Eye, a three-person exhibition of new work from Rosanna Bruno, JJ Garfinkel, and Carrie Gundersdorf. The show will run from October 12th until November 9th, with an opening reception on Oct 12th from 6-9pm. Gallery hours are on Sundays from 12-5. 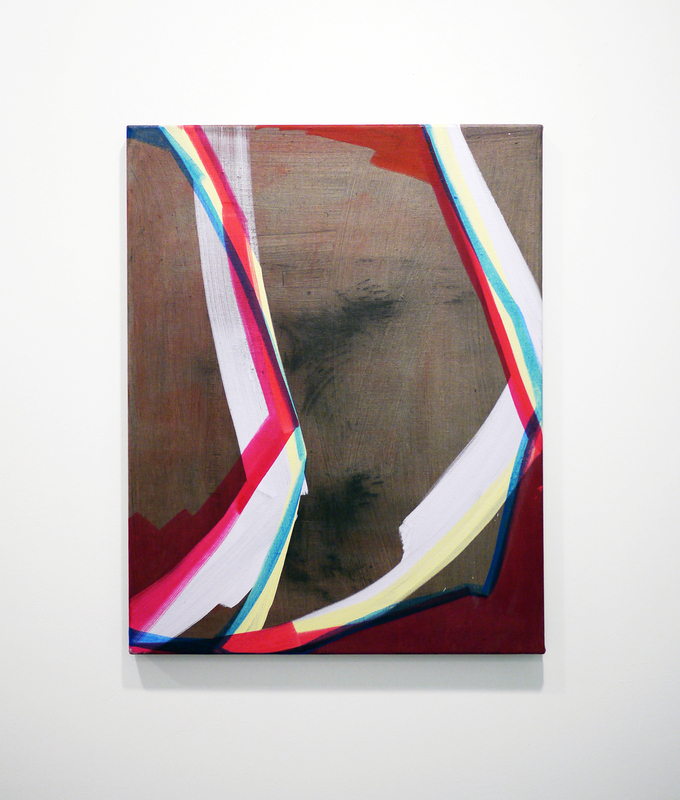 Contemporary abstraction has many points of origin and influence. It is an infinitely diverse field, with possibilities that extend far beyond trend and self-reference. 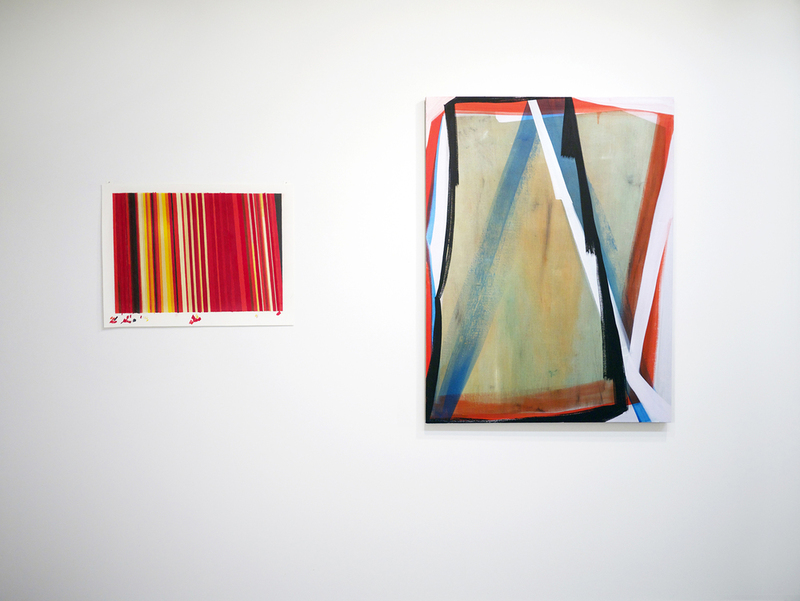 These three artists have a personal sensibility regarding painting that has developed over time. While formally different, they each make work that begins and ends with exploration. 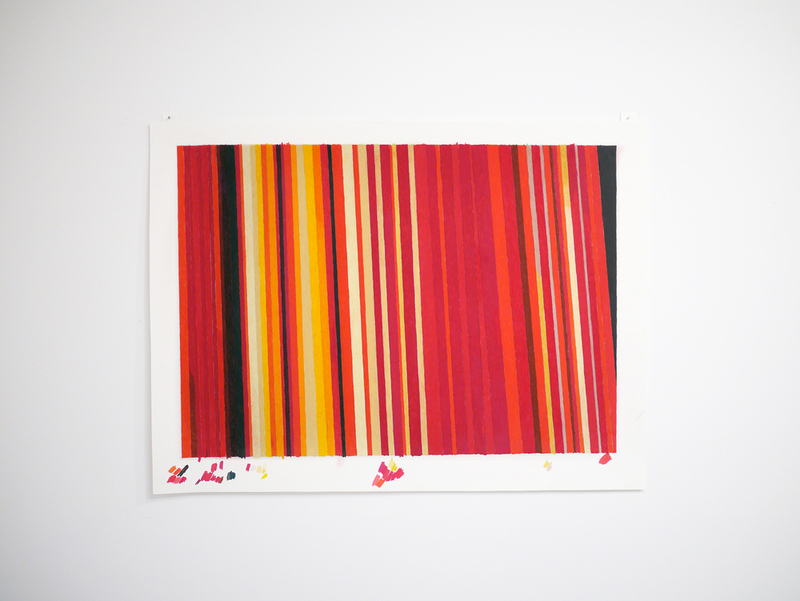 Painting, for them, is a visual experience discovered through material wandering. The images they create are neither formal nor mechanical, and only hint at physical or technological realities. Color, light, and space are fully utilized with otherworldly results. Bruno’s gestural paint strokes eschew bravura and privilege nuance. She incises the canvas with broad, loose marks. They reframe the painting and they are the painting. The unprimed canvas is initially treated with a thin spattering of pigment that creates a glimmering depth. Her larger paint strokes hover in and above this atmosphere. These paintings offer an impossible space that undermines ideas of flatness and 3-dimensionality. 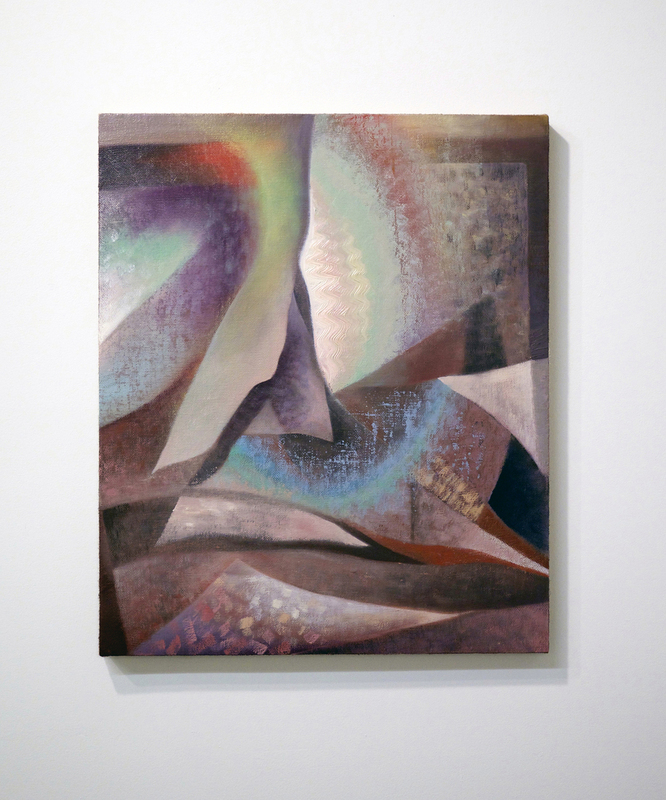 Garfinkel’s paintings give the sense that you are at once observing the macro and the micro. They are highly detailed minutia or they are expansive views of the beyond. 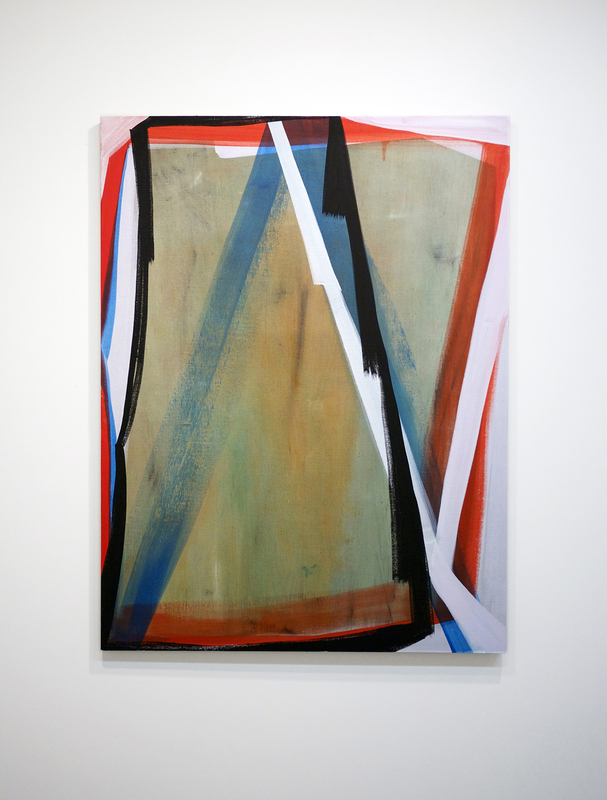 His painting is hinged on layered forms that are unidentifiable, but somehow familiar. The surfaces are often undulating tans and mauves that are sprinkled with neon powdery highlights. The final effect is unnerving, morose, and sparkling. 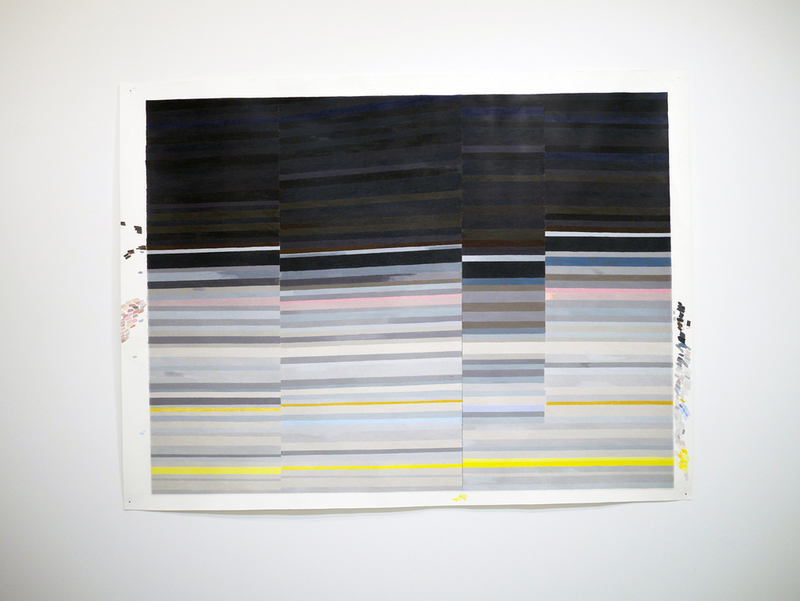 Gundersdorf’s work, made with dense colored pencil on paper, at first appears to reference color field painting in a play on formality. There are beautiful, rich color combinations and dazzling grid-like patterns. The waxy prismacolors give the paper a weight and seriousness. Her commitment to materials and form leads to somber poetics. The crucial aspect of data as beauty provides further insight into the work. The sources are astronomical images; for example, spectra of electromagnetic radiation from stars and ultraviolet imaging from Saturn’s rings.